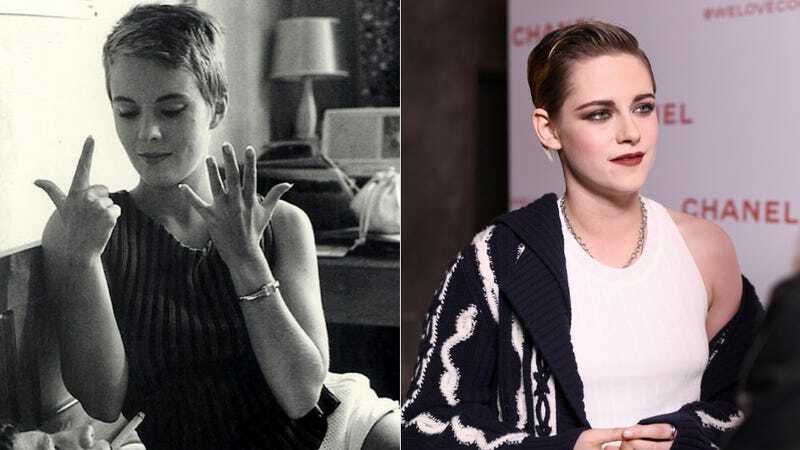 Kristen Stewart has been cast in Against All Enemies, an upcoming thriller in which she’ll play Jean Seberg, an actor most known for her role in Jean-Luc Goddard’s Breathless, as well as (and more interestingly) her involvment with the Black Panther party (an affiliation that got her illegally investigated by the FBI). Against All Enemies will be directed by Benedict Andrews, who is currently helming Cat on a Hot Tin Roof on the West End. It will co-star Jack O’Connell (Money Monster, Skins), Margaret Qualley (The Leftovers), and Colm Meaney. Anthony Mackie will play Hakim Jamal, Black Panther, cousin to Malcolm X, and romantic partner of Seberg. According to Deadline, the film—written by Joe Shrapnel and Anna Waterhouse—will be a political thriller that follows Seberg’s time under FBI surveillance. No casting announcement has been made for Seberg’s infamous racist dog.